Everyone Is Upset! Shakti Astitva Ehsaas Ki 19th August 2016 Written Updates :- In the last night episode of the TV series Shakti – Astitva Ehsaas Ki it has been shown that Saumya is folding her hands in front of Harman and asked to him that she will be going from his life forever. She asked to him just we need to stay together for some time then I won’t disturb then I won’t disturb you ever. Nimmi arrives in the Singh house now with Nimmi and on seeing them it was Maninder Singh about to have the food but he left the same on the midway. Bee Ji taunts both Surbhi and Nimmi by saying what this Siyappa, my son does not eat food. She also asked to Nimmi that till then you wanted to settle there in daughter’s Sasural till Preeto did not throw you out of their house. Nimmi asked Bee Ji whenever you speak you always speak poisoned. She also asked to both Bee Ji and Maninder Singh that Saumya’s husband is not like my husband so actually it is Harman did not kill Saumya and I am very sure that one day he will accept my Somu. Nimmi asked Bee Ji in the kitchen that she is worried for Saumya and Bee Ji asked to her that you can call Preeto but Nimmi said that she is annoying with us. Surbhi asked to Nimmi that I can get knowledge of Di by calling Varun. 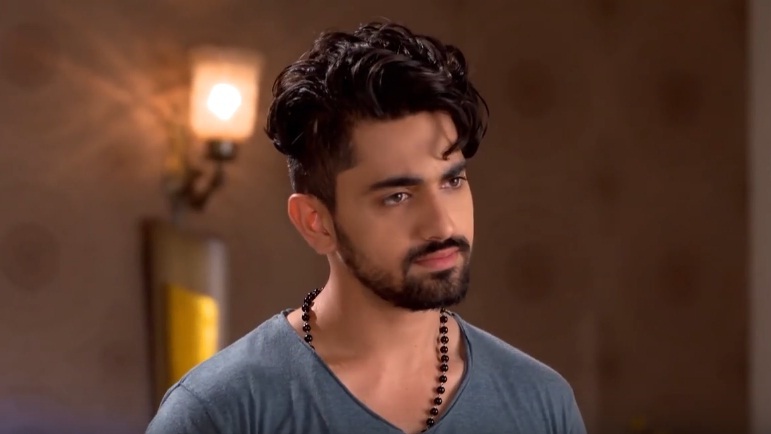 Preeto said no he is a bachelor boy and it doesn’t sound good for you to call him but Surbhi somehow manages Nimmi to call Varun and by calling him she have information of her Di that she is okay. Harman rejected to have breakfast from the hands of Saumya and Harman also consider her as inauspicious. In the night when Saumya offered him to have dinner, Harman just throws the dinner also asked her that stay away from me. This incident has been witness by Rava and she informed the same to Preeto that there is something wrong between Saumya and Harman. When Preeto rushes to see them she shocked to see that both Saumya and Harman hugging each other. She asked Rava if you wanted to show me this scenario. Rava said no I witnessed their fighting. She also wonders what happen between. Precap: Saya tells Soumya why she wants to stay with them but this world does not belong to her. Saumya asked Saya to leave as she wishes to stay in the Harakh Singh house but Saya just holds Saumya’s hands tight. Harakh Singh stunned to see so and he just fumes on anger and started walking.